Chick time? You mean, the time to get chicks? Yep! Although most people get new chicks in the spring, I prefer getting my future layers in September or early October. Why? Most breeds of chickens don’t start laying until five or six months of age. If you get chicks hatched in spring, they start laying a few small eggs just as the days start getting shorter. Although they might continue to lay a few eggs through the winter, the number of eggs you will get the first year is a lot less than if you had pullets that were hatched in fall. When chicks are hatched in fall, they will reach laying age in the spring as the days are getting longer and older chickens naturally start laying again after their winter holiday. In Illinois, we really can’t have chicks shipped to us any earlier than March unless we are prepared to deal with a fairly high mortality rate because it is simply too cold for their survival to be ensured. In March and April, the weather for shipping is questionable, especially since chicks usually have to be ordered far enough ahead of time that you won’t know what the weather will be like when they are shipped. So, I prefer fall chicks because it’s warm when the chicks are shipped, which means we usually have zero losses in shipping. Caring for chicks is also easier in September. We can simply hang a heat lamp in the barn stall, and the chicks will happily wander all over the stall. In spring, we have to use our big brooder to trap the heat for the chicks. The chicks grow feathers in the fall as the days grow colder. So, if you think that you have to wait until spring to get started with your backyard flock, you might be able to get them sooner, depending upon where you live. I haven't started my flock yet but I had the same idea about starting in the fall rather then the spring. We won't be moving to our farm until late October / beginning of November so I doubt I'll be able to get any then but was great to read that someone else had the same thought process about raising chicks over the winter for spring laying. I've got a broody sitting on 5 eggs right now. I totally agree with you on this being the best time of year for chicks. The chicks that hatched this spring are not laying yet, and may not before the days just get too short. The chicks that are due to hatch in a couple weeks will be maturing just as the days are getting longer. Much better idea! Two years ago on Oct 2 we finally bought a house in Louisiana. Well on Oct 4 I went and bought 4 chicks. I was a city girl and did not know about spring chicks. I only have one left and one from the following spring. I am wondering if I should cull the 2 remaining and just start over. They are still laying eggs and have everyday since they started laying. The lay even when Moulting. I am just scared that they are going to pick on the babies. My last RIR picks on the last Leghorn. She makes her comb bleed sometimes. I am not sure what to do? Sometimes that happens when you only have a couple of chickens — one starts picking on the other one. Many people butcher their hens at two years because production starts to go down, but we usually wait until three years and then butcher them because they still lay well for us until about 3 years. It's impossible to say what will happen with new chickens, but new chicks would need to be in a brooder for at least a couple of months anyway, so you wouldn't be putting babies with the hens, which would be problematic on several levels. If you add several pullets to the two you have, things might go well. If they don't, you can always separate the mean hen and butcher her. 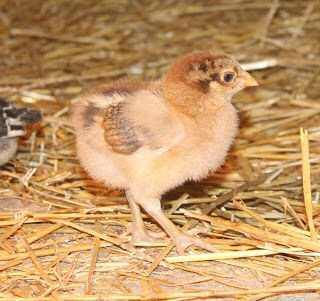 And another bonus for getting chicks in the fall is spring is traditionally crazy for homesteaders! Taking care of chicks in the fall makes more sense for us. This year, we purchased 30, 18 week old pullets. It has only been a week today, but so far, it’s like having feral chickens. I’ve never purchased started pullets, but I can imagine they’d be flighty. I’m sure they’re raised in huge groups. Good luck with them! Hope they calm down for you.